Comedy Club, Ritz Carlton and Celebration Cruise Lines. He has performed for exclusive resorts like: Solivita, Cypress Lakes, Kings Point, Citrus Springs, Lazy Days, Timber Pines, Sunrise Lakes, Shipwatch, Rock Crusher Canyon and many others. A few of Mark's corporate clients include: Arthur Rutenburg Homes, BB&T, State Farm, Mosaic, Paychex, Lockheed Martin, and many more. 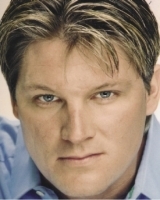 Along with entertaining audiences, Mark has been a featured voiceover artist in numerous T.V. and radio commercials. He also performs national radio spots for Clear Channel radio. In 2004 and 2005, Mark was contracted as a featured entertainer for the Hard Rock Hotel and Casino. He was the headliner of a Las Vegas style show, complete with showgirls, dancers, and of course his multitude of impressions.